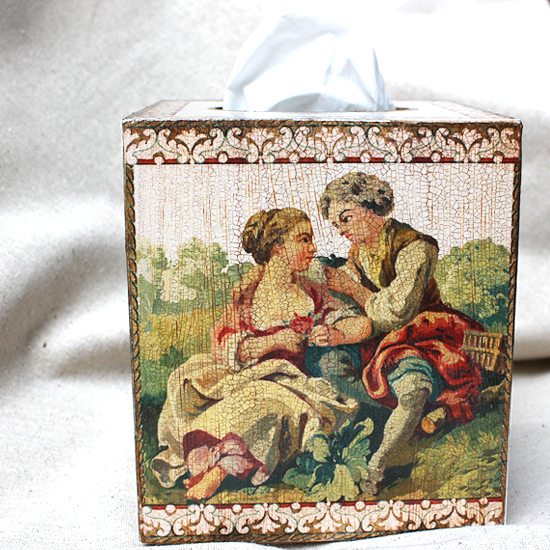 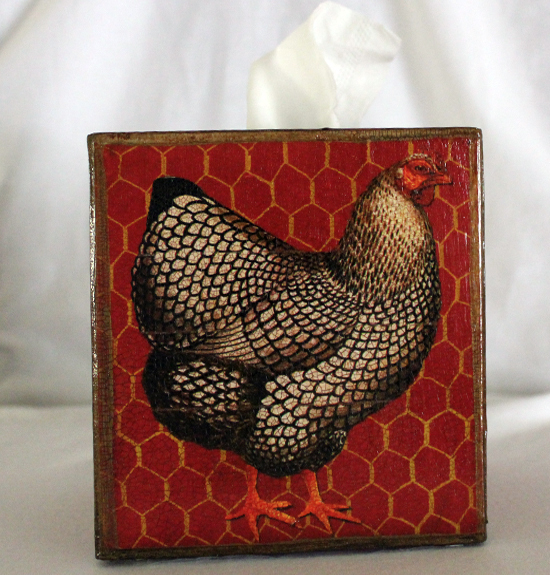 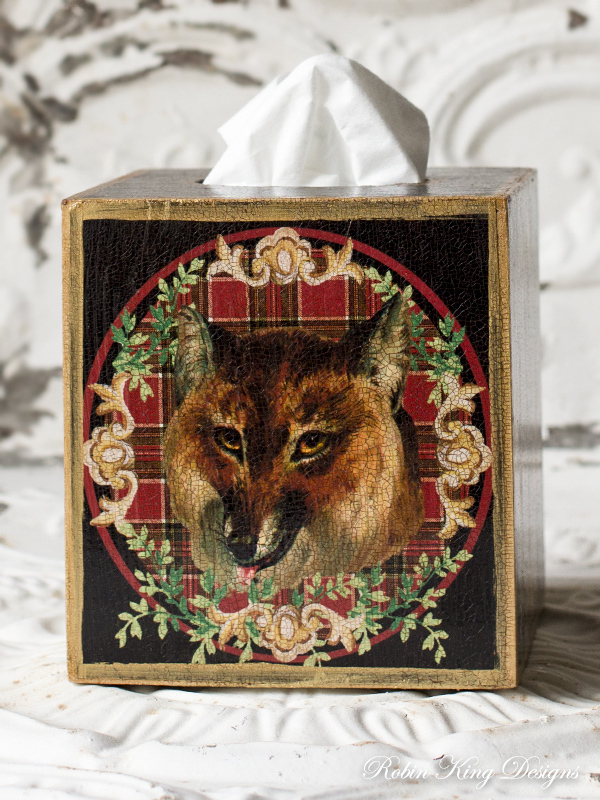 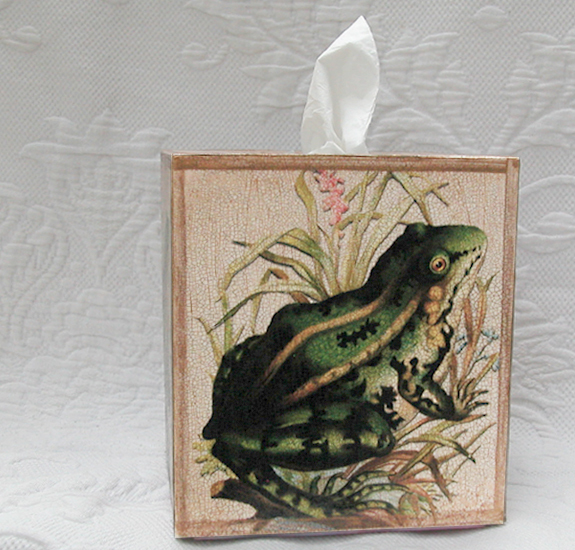 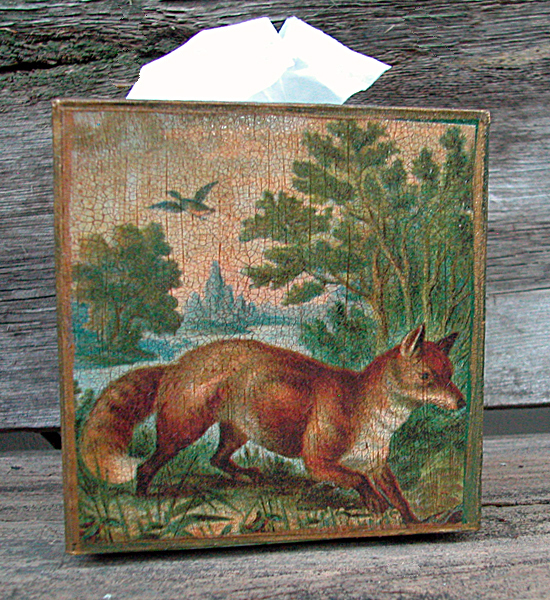 Robin King Designs offers a large variety of elegant tissue box covers. 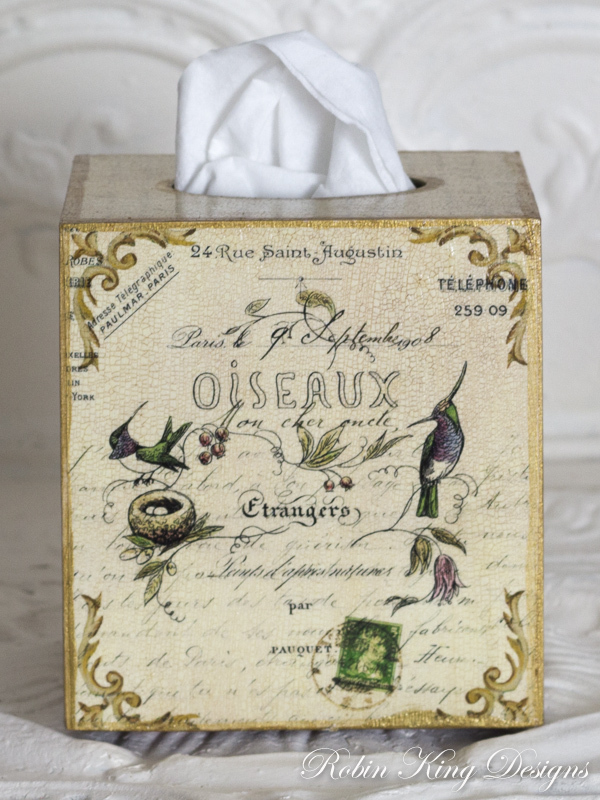 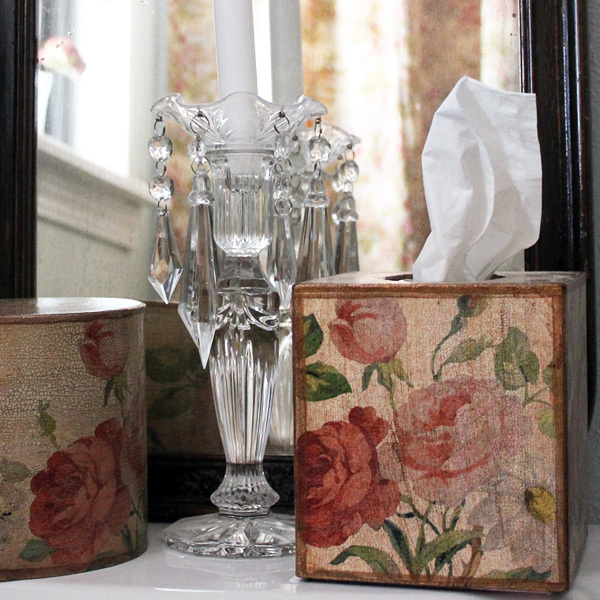 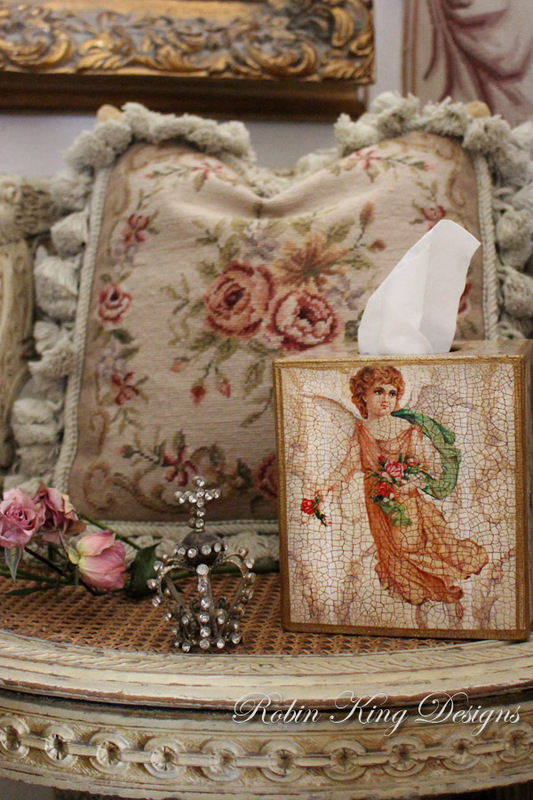 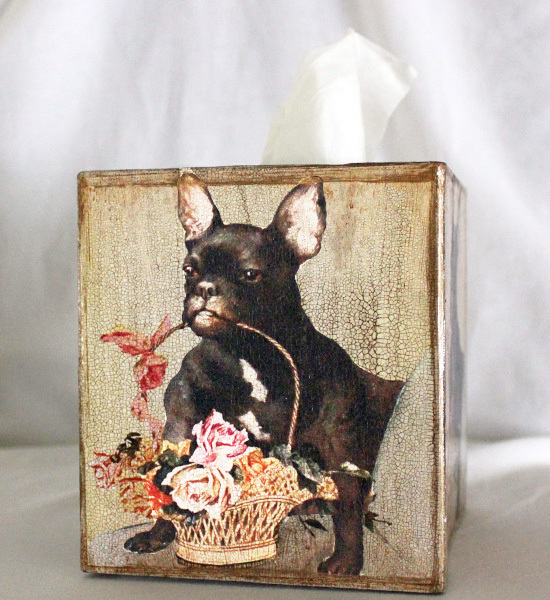 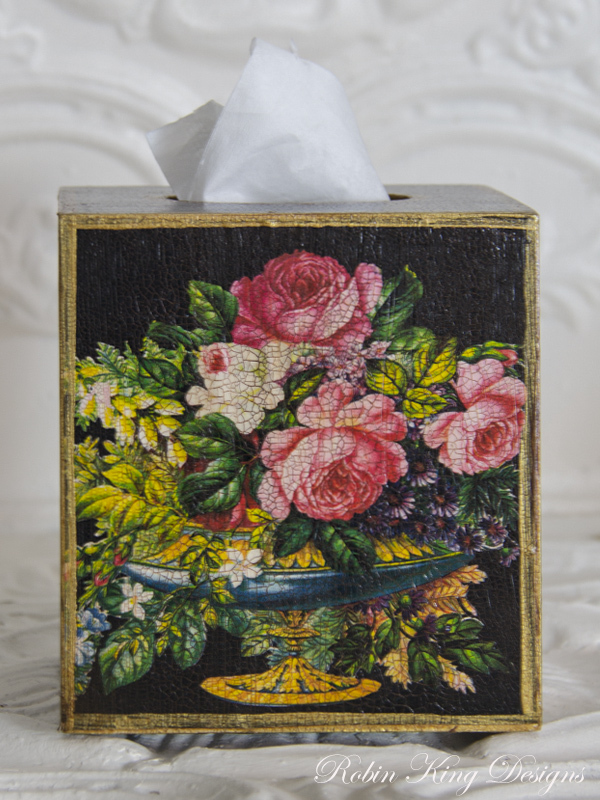 Each decoupage tissue box features vintage-inspired or photographic-inspired artwork along with her signature crackle design. 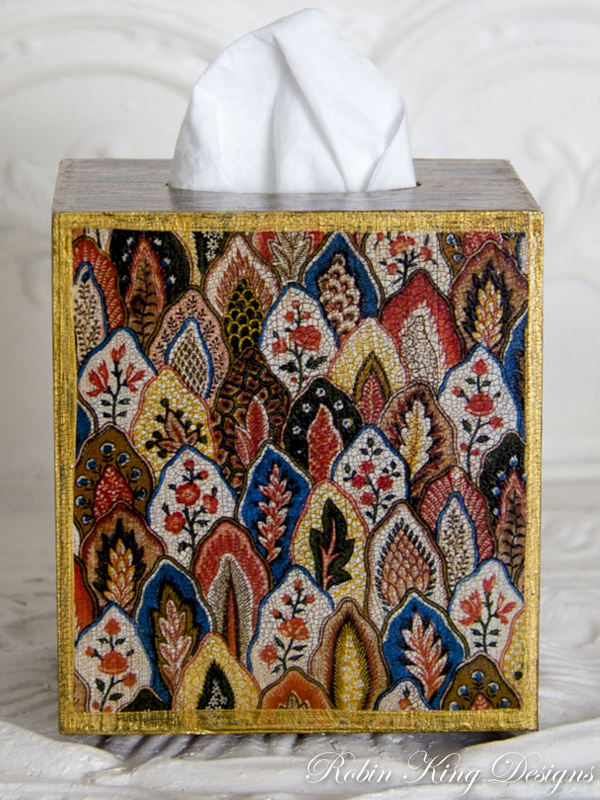 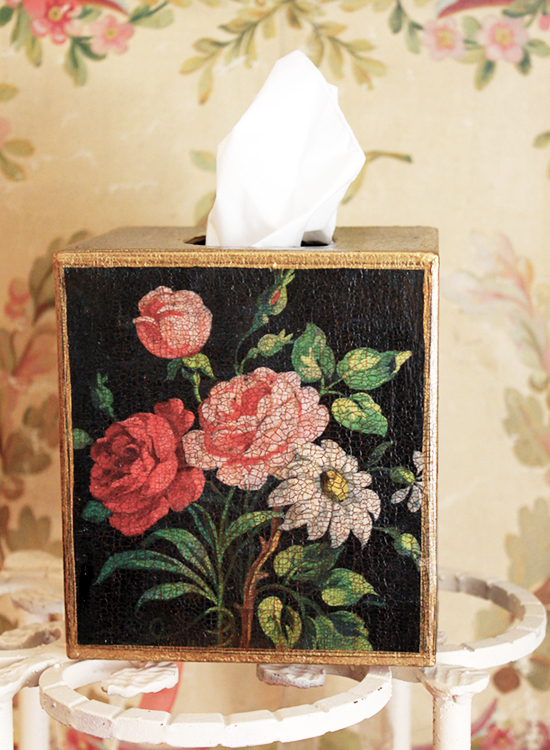 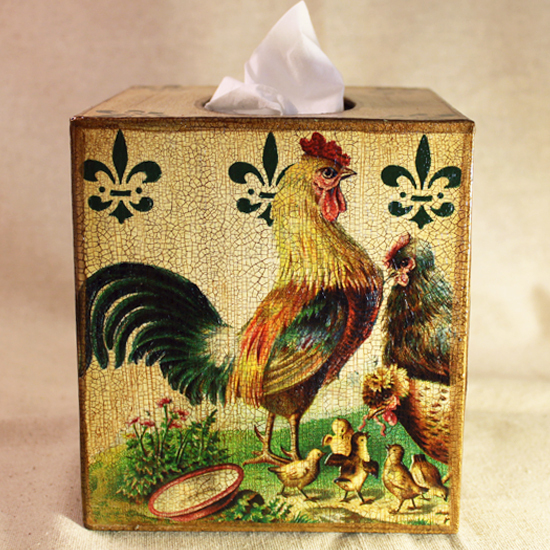 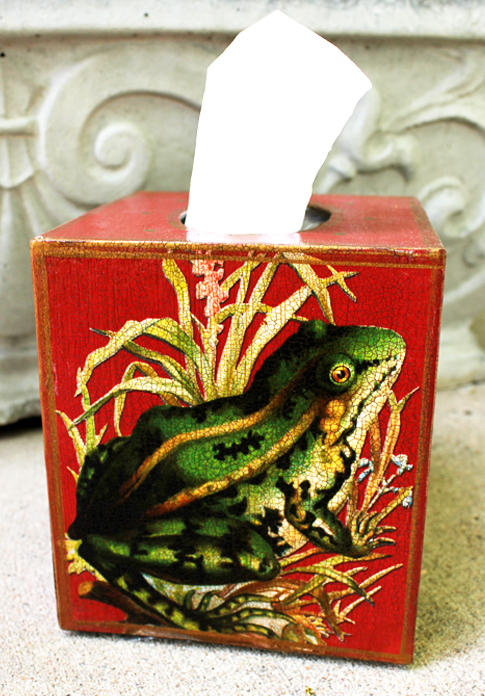 With so many designs, you are sure to find a tissue box cover that will fit your personal style. 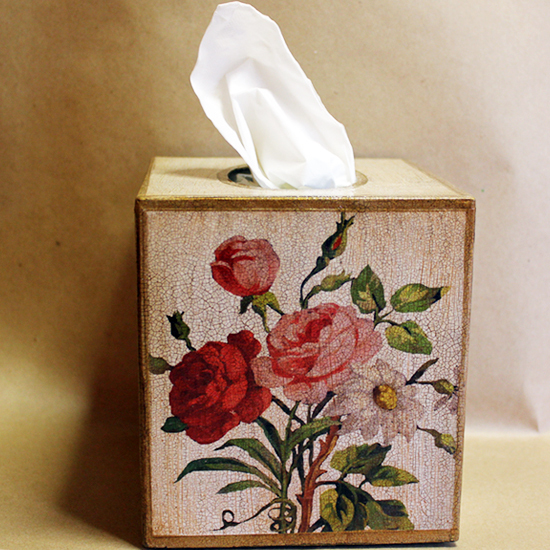 The handcrafted wood tissue box covers are built to last and measure 5 inches wide by 5.5 inches tall.